If you’re serious about adding new slabs of muscle, getting your diet right is absolutely crucial for your success! As strange as it may sound, there is a way of mimicking the effects of anabolic steroids by implementing a few nutritional tactics. I call this the ‘MuscleHack Anabolic Nutritional Strategy‘ (MANS). I’m not saying that you’ll see the same gains as a roidhead – you won’t. No natural diet will replicate the effects of anabolic steroids. However, your results may surpass anything you are currently experiencing. In the next 15-20 minutes I will introduce you to the nutritional strategy that will revolutionize your bodybuilding life. You can make these gains in muscle without the correlating gains in fat! It’s all lean gains. And those with great genetics can actually find the holy-grail of bodybuilding as they build muscle and lose fat at the same time. A Bodybuilding Diet That Works! Friends, I have no interest in hyperbole or BS; this nutritional strategy works. It took me years to find it, implement it correctly and reap the rewards. I had to find out for myself how to build lean muscle mass like never before while keeping fat accumulation at bay. But it was well worth the effort. So if it’s the best anabolic diet in existence, why isn’t it more widely known? The big supplement companies and rag-magazines would go out of business quickly if they couldn’t peddle their snake-oil to you. If the general public were more nutrition-savvy, they’d crap themselves! I doubt very much they’d go out of their way to make the public aware of it. So how can this nutritional strategy produce bigger an better muscle gains? There is a way to increase anabolic (muscle building) hormones in the body in the same way that steroids do. The only difference is, it’s safe and natural. Sounds good doesn’t it? You will also have controlled and timed insulin spikes which allows the body to have high levels of growth hormone and insulin at the same time! This does not usually happen and you’ll see extremely impressive muscle gains as a result. Ok, apart from the actual exercise itself, what is the driver of muscle hypertrophy? We’ve been told over and over again that it’s excess calories; you must eat more calories than you expend to encourage muscle growth. I’m going to put forward something a little controversial. Calories are also an effect, not just a cause. Think of a growing child. Are we to assume that vertical growth is caused by excess calories? I think the release of Growth Hormone is what makes a child grow. Then this increased growth hormone causes the child to want to eat more. I think we have causality round the wrong way here. The traditional advice from bodybuilding gurus is to eat everything in sight to increase muscle size. And they usually recommend high carb, low-fat diets. But what we want to devise is a nutritional strategy that ignites the release of anabolic hormones (and this means you need to eat fat). In turn then, these hormones will let us know when and how much to eat. The hormones will drive our appetite. Don’t get me wrong, sufficient calories are required to build muscle, but it’s important to understand the chain of causality. IGF-1 (insulin-like growth factor production is stimulated by growth hormone). As you will be keeping your carbohydrate level low for most of the week, your body will become a fat-burning machine. It will undergo a ‘metabolic shift’ and start to burn fat as its primary source of energy. This can take as little as 2 days and up to 10 days for some people. However, the vast majority of you will have become fat-adapted by the end of the first 5 and a half days. Regular low-carb dieters want to avoid spikes in insulin levels, but for the bodybuilder a controlled spike will do you a world of good. You’ll use a 32-36 hour window (I use the weekends for this) to deliberately increase insulin levels. Friday 6pm to midnight on Saturday works well for me. Insulin can make you fat, no doubt about it. Insulin has a dramatic effect on decreasing lipolysis i.e. as insulin regulates fat metabolism, large amounts means that your body will not give up its fat stores for energy; it literally shuts the gates to your stored body fat ensuring that it can’t be released and used for energy. Having said that, insulin is not the enemy of the bodybuilder. It seems that the body (once fat adapted) sees the intake of high carbs at the weekend as a ‘threatening’ situation and releases growth hormone as a survival mechanism. Increased Growth hormone is your body’s way of mobilizing energy stores to deal with this stressful situation and so at this time you can get elevated insulin and growth hormone levels simultaneously – welcome to muscle building heaven! …not good news, friends. What this anabolic nutritional strategy does is take advantage of the anabolic properties of insulin and, at the same time, restricts the fattening properties of the hormone. This bodybuilding diet will keep insulin levels steady and low most of the time but you will also be creating carefully timed spikes for explosive muscle growth. Since we’re concerned with building muscle, we need to find the lowest amount of carbs you need in a day to not only feel good but hammer out muscle-building workouts that continually improve, week-on-week. I recommend you start out at 30 grams per day and adjust from there. Don’t make any changes to this for at least a week because you need to make the metabolic switch to burning fat for fuel first. Once this is completed you will be able to tell from your workout performances whether or not you need some more carbs (if so, increase in 5 gram per day increments). I personally average at around 27 grams of carbohydrate per day for 5 and a half days. Some days I take in 35 grams but on others just 20 grams. Going higher or lower is fine, just check your weekly averages. This low amount of carbohydrate is enough to power me through some amazing workouts; I’ve got bags of energy and feel great. STEP 1: You already know that you will have around 30g carbs per day. This comes to 120 Calories (30 x 4cals/gram). STEP 3: Work out how many calories you will get from protein by multiplying the grams by 4. So 200g = 800 Calories. STEP 4: Subtract the combination of protein and carb calories from the total calories. Example: total cals 2800 – (800 + 120) = 1880 Calories remaining. STEP 5: 1880 Calories will come from dietary fat. To get this in grams, divide the figure by 9 since there are 9 Calories in a gram of fat. 1880/9 = 208g fat. STEP 6: On weekdays, MANS is a low-carb, high-fat diet (LCHF). In this example, this guy will eat 208g fat, 180g protein, and 30g carbohydrate. So I don’t take any carbs post-workout. My after-training cocktail consists of some whey protein (40 grams or so), and creatine monohydrate (5grams). That’s it. Here are links to the best UK and European source for Protein and Creatine. I remember being advised years ago that I needed around 60 – 100 grams of post-workout carbs to encourage muscle hypertrophy. It’s no surprise now, with a little education, that I got fat. Also, remember creating daily insulin spikes will have an adverse effect on growth hormone levels so follow this to the letter. This is perfect as you can enjoy your life after being so strict during the week. Have some pizza, Chinese food, whatever you feel like. Take your woman out for a meal, have some beers with the guys and rest assured that you’re actually benefiting from this. I limit the junk meals to 2 and the rest of the time I eat a mostly high-carb, moderate fat, moderate protein diet. It isn’t an excuse to go completely nuts, but do let your hair down a little. Again, there’s no reason to eat passed satiation, let your gut decide how much to eat. There is no real limit on the amount of carbs you can have. The key is just to watch the time it takes for you to begin to smooth-out (lose definition); it may take a little bit of experimentation at first and it will be different for everyone; 32 hours works great for me. So you are not counting calories or carbs at the weekend – just relax and enjoy. You’ll notice that every week you go through a mini-cycle of being bigger and smaller; this is just due to fluctuating water levels. When you begin to low-carb you’ll flush out some water, it’s perfectly normal and natural. Continually monitor your weight in conjunction with your body fat levels. If you notice that by Saturday afternoon, you’re smoothing out a little bit too much, you know that you’ll have to limit your carb-up period to 24 hrs; keep monitoring and adjusting as necessary. I hope you can now see the huge benefit there is to eating this way. The bodybuilding world is still largely clueless of this. I urge you to take advantage of this knowledge. Make sure you grab my free Targeted Hypertrophy Training program by clicking below. There’s no catch and there’s no spam. Once you click the button, you’ll be taken straight to the download page. I operate a ‘Strictly Zero Spam‘ policy. That’s the M.A.N.S. diet plan laid bare for you. Question is, what are you going to do with it? I encourage you to stop the endless bulking/fattening cycle followed by cutting (losing as much muscle as fat) year on year. It DOES NOT need to be this way. I urge you to join me in this way of eating. Many, many people have seen awesome changes as a result of implementing my dietary guidelines, check out their testimonials. What Fruit Can I Eat On A Low Carb Diet? Folks, I have spent countless hours laboring over this article for you. This article can really benefit people in the pursuit of their body goals without resorting to anabolic steroids. Can I ask something in return? Please consider helping promote this article. Click on the share icons below, tell your friends about it, link to it on your own site, mention it in your youtube videos, or anything else you feel is appropriate. Great post bro. I can’t wait to talk to you about the MANS program; great acronym BTW! All this info is great for anyone interested in gaining lean muscle mass. I was wondering if you could post a food or types of food that would be beneficial to your program. I’m in the military stationed in Germany and my knowledge of food isn’t that big. If there was a post on maybe food types that are great for the low carb days and maybe somethings to avoid on the higher carb up period. Again your information is great for any person interested in getting fit. I’ll put that in the works. Been very busy with other things lately so haven’t had a lot of time to blog. For now stick to meat, nuts, fibrous vegetables (not starchy ones), eggs, seafood during the week. At weekends let your hair down a little, a lot more carbs – watch for weight gain so you know how long you can carb-up safely for. I’ll get into it more in a future post. All the best over there in Germany buddy. This site has served as great inspiration to me. I’ve visited alot in the last month reading/gaining tips. Like many others I’m trying to put on size. I just don’t want the huge effect (I’m aiming for the trim ripped look). I hope this diet mixed w/ my workout will help achieve my goals. Keep up the good work. Thanks Tony! That means a lot. Yes you’ll reach your goals buddy, just keep going. I agree, for me having a low body fat percentage comes first. There’s just no point in building muscle with fat on top. Luckily enough with MANS I can build muscle and maintain my low body fat levels. My book (soon to be released) is called ‘Total Six Pack Abs’ and the whole focus is on getting very low body fat percentages and sculpting hard abs. I’ve designed it to be a total step by step guide, no room for confusion or error. I eat eggs everyday but do not eat non-veg daily. My regular diet is veg. Can you please give Veg meal plan that can cover good amount of protein and low carbs also. I am tired of thinking what to eat and not eat. Would be great if you can guide me on this. Manoj,I’m working on a response for you on this. 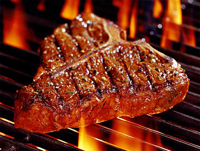 I’ll make a post here at the blog about how to low-carb on a vegetarian diet. Manoj, see this article for an answer to your question. Great job here, Mark. I really got a lot out of this and the article you wrote for the Four Hour Work Week. There are a couple of issues with your diet that I would want to modify. First of all, I’d add a greater variety of vegetables and even fruits. Without them you cannot get a proper supply of naturally occurring vitamins and minerals (micro-nutrients that we know about) and the countless phyto-nutrients that we don’t know about. More vegetables and fruit would also raise the intake of fiber. Not enough fiber can cause immediate problems for some people. Second, your ad lib (eat what you want) approach to quantity works well for you, but it simply won’t work for everyone. 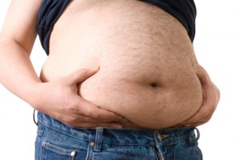 Excess fat is a direct, immutable function of excess calories consumed and nothing can change that. Outeat your calorie burn, which most people do, and you are going to thicken up that layer of fat. The solution is to log what you eat and monitor the results. Food logging takes very little time and gives you exponentially more control of your diet and your weight. Hi Harry, thanks for the great comment. Firstly, people following this way of eating can consume any non-starchy vegetable they like on the low-carb part. They will easily get enough fiber because of the consumption of fibrous vegetables (which are a staple of this section of the diet). Also, many low carb substitute products are high in fiber e.g. Mama Lupe’s low carb tortillas. During the carb-up they can (and should) consume fruits and vegetables – no limits, no restrictions. The issue around calories is one that I have to respectfully disagree with you on. On a low carb diet I am convinced that there can be no ‘excess calories’. The reason is that it seems that the resting metabolic rate of a low carber increases when ‘calories-in’ increases. ‘Calories-in’ and ‘calories-out’ are not independent variables’ and this becomes even more pronounced on a low carb diet. Note that this is not the same as saying you can actually lose weight and eat thousands and thousands of calories. However, gaining fat when keeping carbs at around 30 grams a day is, in my opinion, an impossible task. The first 2 laws of thermodynamics are often brought up when people seek to debunk this idea but the law is not broken at all. All reactions involve entropy. Entropy is greatly increased for low carbers. Anyway, it’s too big of an issue to fully discuss in a comment. I respect your opinion; I understand your motivation to help people. Have a look at the following link where a guy kept a food log for 30 days and purposefully overate on a low carb diet in an effort to put this issue to rest. He consumed 48,659 excess calories above maintenance over the 30 days, didn’t exercise and the result? He didn’t gain a pound. Hi Mark and Muata. I’m enjoying this discussion. Thanks, Mark, for your hard work in coming up with the eating plan and sharing it. There is a question of balance. We want to gain weight, but in muscle mass, not fat. We want the excess calories that ordinarily produce excess fat to produce excess muscle instead. To accomplish this requires a balance of eating and working out. Without the workout, muscles have no reason to grow and the plan will fail. Without the excess calories, weight will be lost and we’ll have muscle decline along with weight loss. If we hit the mark, as Mark seems to have done, we’ll have weight gain predominantly in muscle mass. What if we exceed the calories needed for maximum muscle growth and the increased resting metabolic rate? What happens to the excess calories? With such a balancing act, one element or another is bound to get out of whack. Basic human nature tells us that many people will either not work out hard enough or eat too much or both. Two sides of the same coin. The only way to know for sure is to take a measure of what you’re eating. It will reveal opportunities to adjust calorie intake as well as the occasional (just once a day) donut. I think that you are in balance with this program, Mark. But sooner or later you are going to start getting mail from people who will say it’s not working for them. I think you’ll find they are not working out hard enough for the amount they are eating or eating too much for the amount they are working out. Again, thank you for your good work. Hey Harry. I couldn’t agree with you more. Basic human physiology tells us that if we want to gain muscle, we need to add more calories than we’re currently consuming. And, your body won’t normally adjust its calorie upwards to do this because it’s not “normal”. The argument of not counting calories, which has been brought more to the mainstream by Gary Taubes’s latest book, which I’ve read and reviewed, is OK when you have folks who are arguing about losing weight; however, I think that there is more than enough of a body of evidence to show that to build mass or even get down to low body fat %, your energy expenditure has to be accounted for. No disrespect to Atkins, Taubes, Eades, or Groves, but these guys don’t have one clue about how to build and sustain muscle, let alone explain how to reach low body fat %. Now, if we were to ask Poliquin, Cosgrove, Colpo, Dipasqual, Costa, or even Tom Venuto about counting calories, and I think we know that they will say. Harry, the point about excess calories could be the subject of its own book and more studies should be funded. Gary Taubes, that Muata speaks about, is someone who is calling for such studies. The point I’m making is that there may be no such thing as ‘excess calories’ when carbs are sufficiently restricted. Therefore, all weight gain is muscle mass, no fat. This is congruent with my experience. You say “What if we exceed the calories needed for maximum muscle growth and the increased resting metabolic rate? What happens to the excess calories?” Including the increased metabolic rate is exactly what we need the studies for – we need to know if there is a ceiling on this. I mean if someone restricts carbs to 20 grams per day and eats 10,000 calories for a month, what would happen? I, like you, would be interested in finding out. Anyway, you would need to be forced to take in such high amounts and no-one that is eating the way I have suggested will be taking in any where near 10,000 calories. I am therefore, more than confident that excess calories won’t be a concern. Again, can I reiterate that this does not mean people can lose fat and eat an unlimited amount of food. not being independent of each other. Mark, not sure if you ever mentioned but when’s the (your) book coming out? Thanks for stopping by again. Yes, I’m hoping for a release sometime during week commencing Monday Feb 11th 2008. The book deals specifically with getting six pack abs. There’s no fluff. It’s not a book on diet science and it’s not a heavy read. It deals exclusively with providing a practical, step by step guide to ripped abs. The BEST thing though is that it actually works. It will work for everyone who follows it, no exceptions. I will provide updates on the progress of the book in the weekly Newsletter if you haven’t already signed up to it. It’ll work fine with a 3 day routine Andrics. I realize we all have to fit our workouts around our lives. However, keep to low-carb nutrition part 5 – 6 days if you want to avoid laying down body fat. Mark, what exactly do you mean by the term, smooth-out? also, is it ok to take caffein? case in point i have some hydroxycut that i take sometimes because it gives me a little boost. is that ok while doing this? Smooth-out refers to losing your definition i.e. 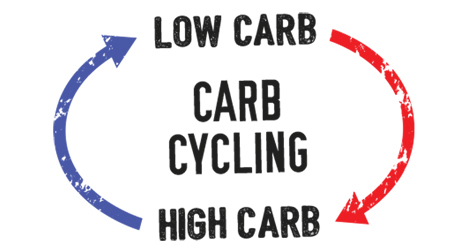 gaining a little fat, watch for this when starting MANS so you know your individual carb-up time limit. Caffeine is fine (as long as you’re not a type 2 diabetic), so go ahead with the hydroxycut – go easy on these things though, you don’t want to get dependent upon them. Mark this sounds like a great way to eat, but I’ve been brought up to believe carbs are the best source of energy. Despite this I’m keen to give the MANS diet a go, but on top of doing weights four times a week I play football which I also have to train for and then play on weekends. Is the MANS diet purely for bodybuilding or can I use it and still be able to train for football and perform on the field? Zac, it depends on how often you train. The plan is designed for the person looking to gain muscle primarily. It sounds like you’re very active and could probably take more carbs if you preferred. However, a fat-adapted body is just as energetic; I know a low carb guy who runs marathons so I would suggest that you go for the plan as described and adopt if absolutely necessary. Mark, i am very glad i stumbled across your site today, i was always told that carbs were good and needed to get bigger as well as protein. but from reading your article i can see that it is not the case with carbs. I train 4 times a week and this is usually every other day as this fits in best with my schedule.from readiny some of your other things i see you say to train say arms on one day and chest on another and legs on another. i have been training pretty much everything each time. is this harmful and will it hinder my results? If carbs are used intelligently they are good for building muscle. One carb-up period per week will provide the anabolic properties of insulin without the lipogenic effects. Are you a beginner Rob? Full body routines can be good for complete beginners but after 2-3 months you should switch over a split-routine i.e. 1-2 body parts per session to really stimulate the muscles in question. Your routine isn’t necessarily harmful but just not as efficient as the ‘8-12 | 6-9’ approach I recommend. I have been training for about 4months after being a national standard rower, so going from alot of cardio to more muscle building and sculpting. i am trying out your workout plans for each body part and hopefully will see some nice results. one question i have about the eating fat is does it matter what type of fat? and by that i mean on a label it will have say 10g of fat and 5g of saturated fat, does it matter if it is saturated fat or not? I see you reccommended about 30g of carbs a day, i checked some of the things i normally eat and they have about 15g in each, also they said that the RDA was 430g of carbs. therefore would i still see the same sort of results, just not to the same extent, by eating about 100g of carbs a day and eating more fat? or would doing that make me put on fat? The reason i say 100g is because some of the things such as snacks i eat because i am at school and sometimes it is not practical to eat something such as a wrap or sandwich. If it is not possible to do it with 100g of carbs, are there any sorts of snack that you know of which are low in carbs? ‘They’ say a lot of things; 430g of carbs a day, every day! No thanks. You won’t get maximal results as the higher carbs means more insulin, which means less growth hormone; that’s how it works unfortunately. However, under 100g of carbs a day is still considered low carb an you’ll do well. I go for snacks like beef jerky, nut bars, flavored peanuts, cheese cubes. I also make my own protein chew bars – see the post I did for vegetarians for the recipe. MANS is not a cutting diet. It is a muscle-building one. The goal is to allow you to build more muscle with less or no fat gains simultaneously. You should gain weight on MANS i.e. lean muscle tissue. Cutting requires a slightly different strategy and cardio should be factored in too. Ahh fair enough, well that sounds good to me 🙂 i will also be looking forward to the book/article on six pack abs, should be interesting as i havent really read much about best way to get them before. As to what Andrew said, i have gotten like that a couple of times when i have gone to the gym but found that it was because i had not and was not drinking enough, so went and got a drink and continued to drink throughout and it got better again after a while. Thanks Rob and you bring up a good point. High protein diets require more water intake than normal. I have an article on it but roughly shoot for 12 x 8 ounce glasses per day guys. (I ALWAYS have a pint glass of water beside me while I workout). You mentioned fruits being ok and as much as you like. Surely the sugar in fruits will increase insulin levels? What fruits do you eat and how much? All in moderation of course, just watch your total carbs. Hey Mark, Came across your site from a link on Lifehacker. THis is some really amazing stuff. My question is I am more concerned about losing weight then gaining muscle at this point. This maybe a stupid question but will I get good results just following this to the letter? My book ‘Total Six Pack Abs’ will lay bare the strategy for getting very low body fat percentages. For now, I would suggest that you use a 24 hour carb-up only and measure your results. If not satisfactory drop the carb up and you should definitely factor in HIIT cardio immediately after your weight training. the body from putting on the fat? I have read much of your research and others you have referenced and the trend seems to imply that without the carbs fat cannot be stored but I wonder where that line is. so sandwiched and wraps come in at lunch at 50g of carbs etc. Its shocking how many carbs exist in everything once you start the analysis. hope my brain dump makes some sense? It’s not a bad idea to transition into low carb Andrics. While you’re transitioning however, you should watch total daily calories. So if you are an average male and workout 3-5 times a week consume 2700-2800 calories a day to avoid gaining fat. Once you get down to 30 grams a day you can relax and watch your daily carb count only. Thanks for the great resource here! I’ve been a low-carber since 1998 and an endurance cyclist since 2003 and it is fantastic to finally find a bodybuilding resource that conforms to my nutritional beliefs. What is the relationship between your daily carb intake and ketosis? In general I don’t count carbs anymore, I just keep myself in ketosis by understanding food choices vs. workouts and use test strips every evening. If I understand your theory correctly, the prime concern is avoiding the insulin spike during the week, thus if I test in ketosis my insulin levels should be pretty low. Is my thinking on track? You’re absolutely correct, insulin levels need to be stabilized as I believe it is central to lipogenesis – fat accumulation. The other objective is fat adaptation i.e. we want the body to burn fat for energy not carbs. Welcome aboard. I see you’re into fitness, low carb and NLP, are you sure you’re not my long lost twin?? Your advice is always helpfull and thanks for being so prompt back with all your responses. I assume sticking to 200g of carbs a day I would not benefit from all the growth hormone increases that a 30g per day gives? That’s right Andrew as the fat intake would be lower. Having said that, you could transition in a few short weeks so it’s really fine to do so. If you need your carbs then the GLAD diet maybe more suited to you. I’m just so busy lately that I haven’t had a chance to get it written. Would this work for a woman as well as for a man? I know I have some testosterone, but not the same amount as you guys. @Rissam. Sure but I really do promote red meat. Make sure you eat enough fat and use creatine as a supplement. @ Laura . Absolutely Laura! There’s no reason why it won’t maximize gains for a female bodybuilder too. Great article and I enjoy your site. However, isn’t this the Metabolic Diet? Yes it’s based on Di Pasquale’s work which is excellent. I mention him at the beginning of the article. I started taking whey protein to get all the protein I need but I think I have some sort of intolerance to it and it wrecks my digestive system. Is there some other type of protein that I can take that isn’t whey? Great article BTW! I need help or atlreast some guidance. For 2 weeks now, i have been doing your body building diet with Sunday thru Friday 6pm- Hight protien, Hight Fat, Low Carbs(30g) and then Friday 6:01pm till Saturday 9Pm i load up on carbs and relax a little. I also work out Mon-Friday from 630-7:15 plus 20min max HIIT cardio( i do the cardio because i was to lose the fat faster. Now my question is if i am eating the proper things. on my HP(high protien), HF, LC days(Sun-Fri) i scrable 5 egss with light tuna, than mid day i snack on almonds(10-20 nuts), than for lunch i eat egg salad and chicken salad with no bread or wrap, 2 hours after lunch i eat almonds again(10-20nuts) later i hit the gym 45min, 20min Cardio, i then take my post protien 50g, 5g creatine, 5g L-glutimine, 5g Glucose/dextrose=a gulp of gatorade…than for dinner i either have salmon or steak or grilled chicken or tuna with spinich or broccoli for dinner….i pretty much repeat that everyday and then on my HC(high carb), MP(medium protien), MF Friday6:01pm till Sat 9pm i eat oat meal, pancakes, chinese food or pizza or pasta etc….until i smooth out saturday night….now does this all sound good to you or im i messing up somewhere. oh by the way when i do my work out im doing the whole progressive over load strategy and writing everything down each week….i was afraid that maybe my body hasnt switch over to burn fat, i know you said it take 2 to 3 days and sometime longer, but how will i know? and how soon will i see results? i work very very hard in the gym for those 45 min and 20min of HIIT cardio. also prior to me starting this diet 2 weeks ago i was already working out and i was pretty good shape, i had no abs but i didnt have a gut either. now i want the abs with your new diet. Please Help me Mark. As I’ve stated before, MANS is not a cutting diet, it’s a bulking one. This isn’t to say that you can’t lose fat with this strategy, you can, and many already have but it’s best to separate the 2 goals i.e either aim to strip off fat while preserving or gaining muscle OR aim to gain muscle while not gaining fat or losing some fat. It speeds up progress towards either goal by doing it this way. Not to sound like a sales pitch but the cutting strategy for very low body fat percentages is in ‘Total Six Pack Abs’, you may want to check that out as a low enough body fat is all you need to see get the abs you want. Now, your diet sounds fine, just watch the quantity of almonds so that you don’t over-consume carbs. You’ll know when you’ve switched to a fat-metabolism when you feel as energetic or more so than when you were eating your higher-carb diet. I’ve started the ‘The MuscleHack 8-12 | 6-9 Anabolic Workout Plan.’ and I am pairing it with the MANS diet here. My question is about the carb. ammounts. I hear all this and that about net carbs and regular carbs. I know that netcarbs are determined by subtracting the fiber content per serving. Is this diet based upon ~30g Net Carbs or ~30g Carbs period? I’m new to actually sticking to a diet plan and want to make sure I’m following this one correctly. Thanks for your time in answering this, and most importantly for posting the diet and workout plans in the first place. Remember, 30g is a starting figure, you can take more or less depending on your needs. @ Andrics, I would think you’ll need more fat. Let’s say you consume 160 grams of protein, 160 grams of fat only comes to 1440 calories. Eat more. Cheese, cream, red meat, nut butters all make getting enough calories very easy. foods you are cooking and eating. How are you calculating it? I want to be as precise as I can so I don’t go over my daily limits. Are you weighing all the foods and working it out that way, even down to the mayonaise and butter etc. I wouldn’t know how to find the carb amount in steak or veg? Matt, the product packaging should display all protein, carb and fat levels even on vegetables. Then you just weigh out your amounts using scales. However, after a few weeks you’ll know how much you can have without scales. Remember, all meat & seafood has no carbs. Cheese and eggs are virtually no carbs. Butter – zero, cream about 2% carbs, mayo – zero – 3% or so. 1) If it can take up to 5 days to deplete glycogen stores in the body and get the body into Ketosis (a fat burning state) surely by loading with carbs after 5 1/2 days it defeats the object of getting into ketosis – as just as you are getting into it, you stop?? 2) You state that you eat around 27g of carbs on your diet, but I dont see how that is possible looking at your average days food consumption – ie. (approx) 2x low carb wraps are about total 20 g’s Veggies around 10g, 15g glucose is 15g’s, protein shakes even whey and mixed with water have around 2g’s per shake and the nuts around 5gs. In total I make that around 56-60 grams in a day?????????????????? Excellent article very clear and easygoing Mark. Though I’m 49, and have been training for somewhat 3 years, to get into relatively good shape, I’m trying to build muscle as far as I can. I-ll try your diet with my workouts and see what happens. All the best bro & thanks a lot. @Simon. No, you never come out of the fat metabolism. 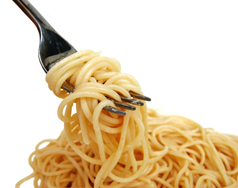 You need to eat carbs for around 3 days to start burning carbs for fuel again. You simply refill glycogen stores while staying in fat burning mode all the time. This has been shown in studies. I don’t take 15g of glucose every day, some days 0, some 5 and some 10. The low carb wraps are only 3 grams per tortilla (4 with my filling) and veggies 8-10 grams with my dinner. When you add my total for 5.5 days and divide by 5.5 it comes to 27grams on average. @ Ted. Go for it, if your main goal is muscle building, eat like it’s going out of fashion and don’t fear fat. I’ve read over this article a few times now and wondered if this would be suitable for a 16 year old? I mean I thought to myself why wouldn’t it be, I go down to the gym quite often and as I’ve come up to the age of 16 (weight lifting machines can now be used) I’ve been looking for what my diet should consist of etc. So at first I’m lead to believe a high carb diet is what you want basically, but reading this really has changed what I should include in my diet and what not. I haven’t really started a ‘proper’ diet yet due to currently sitting my GCSE’s but I’m looking forward to trying at this diet, just wondered if there was anything I should do differently because I’m a 16 year old? and thanks for any help. I have been on this diet for only a week. I am about to enter into my first carb up window (looking forward to it!!!). First a little background on me and then my points. I have been working out for about three yearsI have met with intermittent success. I started out at 6′ and 145lbs (even had a little pot belly). So yes I was extremely skinny. At my heaviest I got up to 203lbs but again my bodyfat was too high. No surprise there because I was eating may too many high glycemic carbs in an effort to bulk up.After cleaning up my diet and sorting out a reasonable routine. I have settled at about 185lbs. 2. In the last week I have dropped from about 185 to 177.5. In the past this would have freaked me out but I am assuming this is merely water weight being dropped as I have gone from 200-300 grams of carbs per day to 50. Either way I look more muscular than ever. Anyone who doubts this diet should really try it first. Anyway apologies for the really long post but I really wanted to thank you for this and to alos encourage others to try this sort of approach. It’s been amazing how I feel much less bloated and have better energy then ever before without all those carbs. I have also stopped all that eating 6 times a day rubbish…..Three or four well planned meals seems to be working wonderfully well. I’ll let you know how my progress goes. Hi Mark, your diet is really intriguing to me as I am in week 17 of a “cutting phase”…yes I am one of those guys who bulked, got fat, and then realized I needed to cut. I’ve been doing this vicious cycle for the past 10 years! I’m currently consuming about 95 grams of carbs, 1/2 cup of oats, 3/4 cup brown rice, and 2 rice cakes. Protein is about 200 grams and my fat is 57 grams. I thought this diet would help me get shredded but my strength is dropping every week, I’m constantly hungry, and my stomach is still bloated! I want to switch over to the MANS diet but I’m wondering if I should ease into so I don’t lose any muscle? What ratio do you recommend for cutting? i.e 40/30/30. Also, for post workout can you use dextrose or maltodextrin instead of glucose? Thanks in advance. How is this different from the TNT diet by Adam Campbell and Jeff Volek over at Men’s Health? It sounds exactly the same. Is it the same plan? If not, then how does it differ? I discovered TNT about a month ago, got the book and thoroughly enjoyed it! To my mind Di Pasquale was there first. I like Volek’s take on saturated fat though, great stuff. Volek doesn’t recommend counting carbs but just eating from an acceptable foods list to keep carbs down and has varying levels of carb-up times depending on your goals. Yes it’s very similar though and I’m glad 🙂 Discovering TNT was great validation for me that I am right on the best bodybuilding diet – Campbell and Volek were saying the same thing. Thanks for the honest reply, Mark. I actually started TNT about a year ago and I really like this approach to low carb nutrition with bodybuilding as far as the true health benefits. My only problem I found with the low carb in the diet is that hypertrophy becomes much more difficult. For one thing, I am small to begin with, and losing all that water and glycogen from my muscles makes me look even smaller (more cut, but definitely smaller). I should also point out that I am a true hard-gainer, with a small frame, thin bones, and small veins working against me. Even on high carbs it is difficult for me to grow in muscle size (except for visceral fat — that I can grow! ), but am I doing something wrong with low-carbs if I am not seeing hypertrophc gains? I see strength gains but thats all on paper, not in slabs of new muscle that anyone can see. I look like a healthy runner who doesn’t lift even though I work hard in the gym (my best incline bench is 200 lbs – squat 345 – I weigh 162lbs). Is it just hopeless for a guy like me? Does it have to be this way? I keep experimenting but haven’t found the answers yet. Is that not the case because you limit fats during the high carb period? I’m not sure how long cholesterol/glucose stay in the blood stream so maybe they aren’t overlapping enough to cause problems. Or maybe that guy is flat out wrong? Any info you have on Glucose/HBA1C would be helpful. Great site I have been following for about 18 months and made tremendous improvements in my diet and athletic performance. My question is around timing of a workout around the insulin spike? What is the best time to really make the most of this once a week spike? Thanks again for all your advice, it is really appreciated. Quick question. I’m 38, about 18%bf and weigh 75kg. I’ve dropped 5%bf and 10kgs but still I don’t have a lot of muscle definition, even tho I’ve been going to the gym for over a year .I’d like to get bigger and build alot more muscle. My question is, shud I lower my bf before trying to bulk up? However, if you want to do MANS, then it’s 30g total net carbs. It doesn’t matter where they come from, so oats and bananas are out until the weekend carb-up. @Peter. First, fat is not as high during the weekend carb-up. Also, it’s important to recognise that these carbs will be treated differently inside the body during this period. Since your muscle glycogen stores were depleted during the week, these carbs will mostly go to refilling lost glycogen and not be metabolized for energy. Additionally, we carb up at the weekends to refill or glycogen stores in the muscle (this comes from carbs) and create an insulin increase. @Paul. This is your personal preference. Since you’ve already been cutting, you might want to continue that until you reach your goal. However, this does not mean that you cannot still gain while cutting. To do this successfully, you need the proper diet in combination with weight training. And yes you can keep building mass. Hi i would love to try your MANS diet, i have tried everything else with little or no real results, and i like your approach. @Antonio. Everything you need to get started is in this article. Thanks.